A simple but expressive garage design that combines black typography with printable garage symbols. 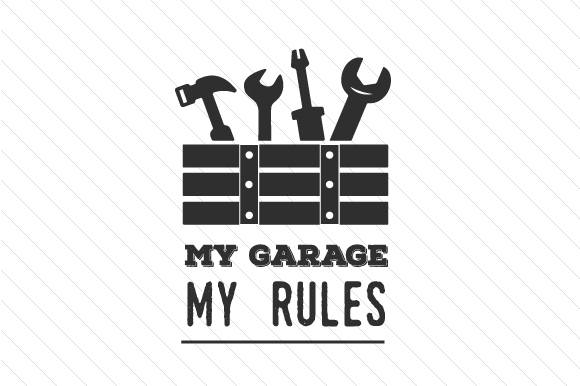 Whether you are a man who spends most of his spare time in the garage or a woman whose husband does the same, this My Garage, My Rules printable sign is what you need. Create fun, custom hats and shirts, anything garage-related, from tattoos and wall or door decals to custom coffee mugs and anything else that your fantasy lets you dream of.